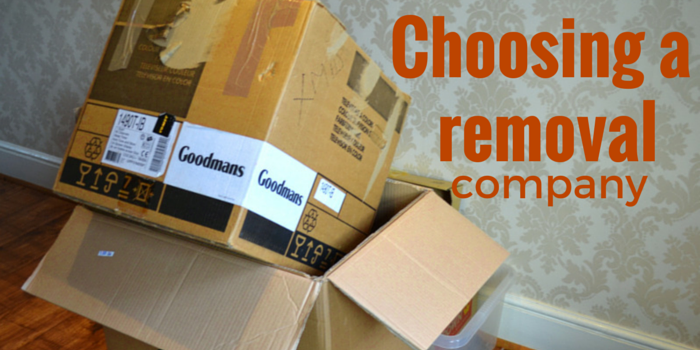 Choosing a removal company can be a very lengthy and difficult process. You want to have a good service, with people that will take care of your personal belongings, but you also want a service that isn’t too costly. It is important that you give yourself plenty of time to find the right removal company for you. This stage can take the longest as you want to make sure that you get a good service for a good price. You will also find that many good removal companies will be booked for weeks in advance so be prepared for this. Your quotation for the move will sometimes take a few weeks. How will they pack your belongings? What kind of service you will get? Will they fully pack your belongings and remove them for you? What is their security like? You should never trust a company that only accepts cash deposits and cash payments. You will have no security paying this way. The best options for payment are by using a credit/debit card or paying by cheque. These methods guarantee more security. Having your items insured when moving home is vital. Some removal companies will have a dedicated insurer. Another option is to ask your current insurance company if they will cover your items incase they are broken or lost in transport. To make unloading the removal lorry quick and easy, it is advised you provide your removal company a floor plan of your new home in advance. You should also provide your removal company with any access routes, for example where they can park and how to get there. Making sure that your furniture is able to fit through the doors is something most people forget to think about. When deciding on a removal company remember that being cheap doesn’t mean that they will still provide a good service. Ask around your friends and family to see what company they used, and about their experience.